I’ve always been cautious about believing car dealers. But when Steve stated that he wanted the car to be perfect for me so that I would buy from him again in the future, I decided to pay close attention through the entire experience. The truck I bought from him had a check engine light problem, but true to his word, Steve made sure the problem was completely resolved and I’m sure that the fix was expensive for him. He also loaned me a car while he had mine for repair. My conclusion is Steve is a man of his word and a genuinely nice guy. I will buy from him again. I chose to come to Steve because of great rumors from previous buyers. I heard numerous great things about Steve and the way he runs Dealer World. Steve put in tons of his personal time into ensuring that I got the best financing possible. He was very courteous to me as a buyer and respected my time. I would recommend Steve and Dealer World to all of my friends and anyone looking for the best deal and financing possible. I wanted a low mileage car no older than a 2007 that seated at least 7 passengers. I spent many hours over a 3 week period looking on line and found a few options including Dealer World. I came to test drive the car and instantly liked the cars condition and no – hassle low price. I fee that I got the best deal on a car that looks and drives like new. Steve let me drive the car off the lot after gathering my information and a verbal committent to buy. Steve was great to work with throughout the process. It unexpectedly took about 3 weeks to get the financing finished through my business loan but still Steve was patient and helpful and even let me use the car throughout the delay. I would not hesitate to buy my next car at Dealer World. Thanks Steve! Steve is very dedicated to meeting the needs of his customers. He has sold us our last two cars and has always given us a decent trade. He is low pressure, up front and honest. He does not have cars on his lot that he or his family would not drive and that means a lot to me and my family. I have now purchased two vehicles from Steve at Dealer World and have nothing but extremely positive things to say and remember. In most car purchases after you leave the lot there is a sense of regret and a feeling of being taken advantage of. Not with Steve, he is an honest, trust worthy man who I respect and would recommend 10 out of 10 times. 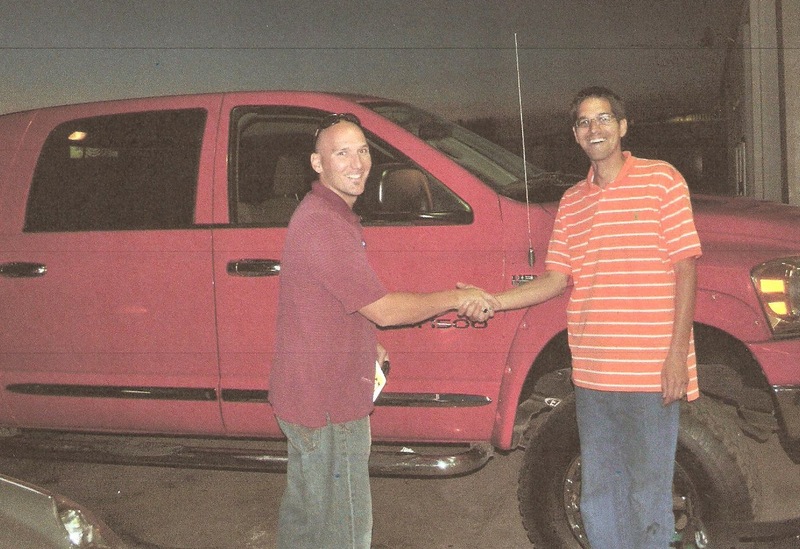 The vehicles he chooses to sale are great and I have had no issus with them. All in all it is refreshing to feel comfortable with the purchase of a vehicle and leave the dealership excited verses worried. I wish Dealer World and its management nothing but incredible success in the future.